With so much attention on choosing a major, it can be hard if you’re unsure or begin to doubt your choice. Fortunately, UC Davis has services to help you. At the Internship and Career Center, we recommend that you explore three basic paths to find a major that fits your interests and consider how your major will lead to a career. They are connected. Career assessments can help you gain insights into who you are and what you most enjoy, which will help to prioritize your values. Two websites with free, straightforward options are: California Career Zone and CareerOneStop. Consider taking an inventory of your transferable skills that help you look at your past experiences and accomplishments and how they can translate into job-ready abilities and strengths. Think about your volunteer work, internships, unpaid positions and leadership experience. Many careers exist that you may not have considered. Others you have a vague notion about but may not know what it takes to enter the field. In addition, new professions are being created constantly. Positions like social media manager and sustainability officer did not exist 10 years ago. 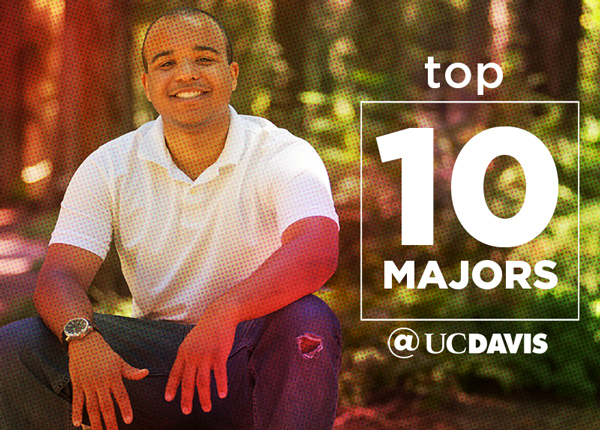 Find out what other UC Davis students have done with their majors. As you read about majors listed here, you’ll find links to related professions and where jobs are located. Sometimes it helps to look at similar careers to determine which elements are of most interest. For example, a career in law could range from public defender to judge. The California Career Zone presents “career families” in an easy-to-use manner and includes informative videos. Get more resources on possible careers to continue your major research, and dive in! 3. Take a reality check: What matches you? Conduct informational interviews: Our Internship and Career Center web page can help you find people in careers of interest and gives tips on how to contact them. We also offer tips on how to prepare, what questions to consider and how to conduct your interview. Get an internship: The Internship and Career Center offers internship listings in a broad range of disciplines. Many require as little as 10 hours a week. An internship is a way to check out a career direction without a big commitment. Research with faculty: This is a great way to check out careers and develop skills useful in your future for graduate school and non-academic settings. You can work with research subjects, analyze data, conduct literature reviews and much more. Get a job: Often underestimated, student jobs allow you to test-drive careers. UC Davis hires students in environments from accounting and animal care to writing and recreation. Build your professional network right here on campus. Remember, each person’s path is different. The Internship and Career Center is here to help you blaze yours. For more information on the process toward choosing a major and finding your career, check out our graphic that helps you visualize what you will be doing on your quest. Visit us in person 10 a.m. to 4 p.m. Monday through Friday or online. Marcie Kirk Holland is director of the Internship and Career Center. The first in her family to go to college, she majored in environmental conservation and Spanish (with a focus on literature). Marcie is in a job she never would have dreamed of pursuing when she was selecting a college major.